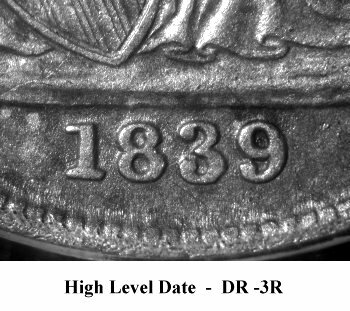 Comments: During a later die state, the bold repunching below the Large O mintmark on Reverse C remains obvious. 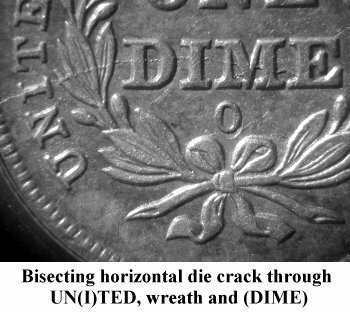 A significant bisecting horizontal die crack has formed. 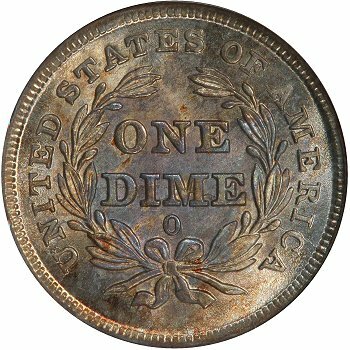 The die crack appears at the left rim first then proceeds through UN(I)TED, then through the left wreath leaves and bisecting the letters in DIME. 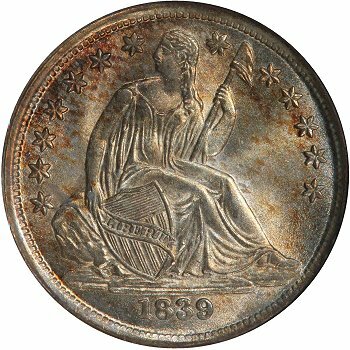 This die crack then drops down through the lower right open buds and exits through AMERI(C)A.
Obverse 2 exhibits light erosion between the stars and rim. 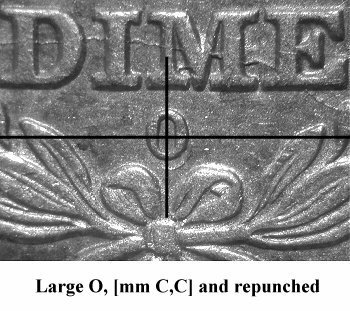 Metal flow lines are seen in the lower gown and foot area. 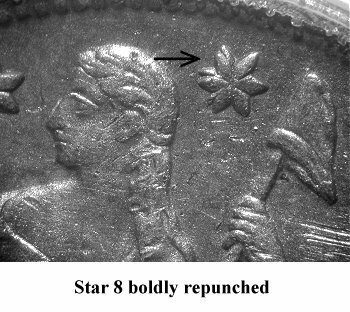 The repunching on Star 8 remains obvious.